The National Labor Relations Board’s (NLRB) Final Rule governing representation-case procedures is designed to remove unnecessary barriers to the fair and expeditious resolution of representation questions. The Final Rule will streamline Board procedures, increase transparency and uniformity across regions, eliminate or reduce unnecessary litigation, duplication and delay, and update the Board’s rules on documents and communications in light of modern communications technology. The amendments provide targeted solutions to discrete, specifically identified problems to enable the Board to better fulfill its duty to protect employees’ rights by fairly, accurately and expeditiously resolving questions of representation. Representation petitions are filed by employees, unions and employers seeking to have the NLRB conduct an election to determine if employees wish to be represented for purposes of collective bargaining with their employer. The Board will investigate these petitions to determine if an election should be conducted and will direct an election, if appropriate. In most instances, parties agree on the voting unit and other issues. If parties do not agree, the NLRB’s regional office holds a pre-election hearing to determine whether an election should be conducted. 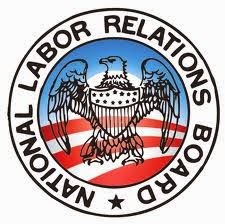 The NLRB’s regional office conducts the election and, if necessary, holds a post-election hearing to resolve challenges to voters’ eligibility and objections to the conduct of the election or conduct affecting the results of the election. Parties can seek Board review of regional determinations made before and after the election. Electronic Filing/Communications – Parties may file documents, such as petitions, electronically, rather than by fax or mail. Parties and the NLRB’s regional offices can transmit documents electronically, rather than using slower or more expensive forms of communications, such as mail or express delivery services. Election Voter List – The employer must include available personal email addresses and phone numbers of voters on the voter list in order to permit non-employer parties to communicate with prospective voters about the upcoming election using modern forms of communication. Identifying Disputed Issues – The non-petitioning parties will be required to respond to the petition and state their positions generally the day before the pre-election hearing opens. The petitioner will be required to respond to the issues raised by the non-petitioning parties at the opening of the hearing. Litigation inconsistent with the positions taken by the parties will generally not be allowed. Litigation of Eligibility and Inclusion Issues – Generally, only issues necessary to determine whether an election should be conducted will be litigated in a pre-election hearing. A regional director may defer litigation of eligibility and inclusion issues affecting a small percentage of the appropriate voting unit to the post-election stage if those issues do not have to be resolved in order to determine if an election should be held. In many cases, those issues will not need to be litigated because they have no impact on the results of the election. Post Hearing Oral Argument and Briefs – All parties will be provided with an opportunity for oral argument before the close of the hearing. Written briefs will be allowed only if the regional director determines they are necessary. Review of Regional Director Rulings – The parties may seek review of all regional representation-case rulings through a single post-election request, if the election results have not made those rulings moot. The election will no longer be stayed after the regional director issues a decision and direction of election, in the absence of an order from the Board. Review Standard for Post-election Issues – The Board will have the discretion to deny review of regional director post-election rulings, under the same standard that has governed Board review of regional director pre-election rulings for many years. Earlier and more complete information to the parties – When the petitioner files its petition, it will be required to simultaneously serve a copy of the petition, along with a more detailed Agency description of representation case procedures and an Agency Statement of Position form, on all parties identified in its petition in order to provide them with the earliest possible notice of the filing of the petition and Board procedures for processing those petitions. NLRB regional offices will serve a Notice of Hearing and a Notice of Petition for Election (along with a copy of the petition, description of representation case procedures and the Statement of Position form) on all parties. The non-petitioning parties will be required to respond to the petition (generally the day before the hearing opens) by filing with the regional director and serving on the other parties a Statement of Position identifying the issues they have with the petition. As part of its Statement of Position, the employer will be required to provide all other parties with a list of prospective voters, their job classifications, shifts and work locations. Earlier and more complete information to employees - The employer is required to post a Notice of Petition for Election containing more detailed information on the filing of the petition and employee rights within two business days of the region’s service of the petition. The Notice of Election will provide prospective voters with more detailed information about the election and the voting process. Scheduling of Hearings – Except in cases presenting unusually complex issues, pre-election hearings will generally be set to open 8 days after a hearing notice is served on the parties. Post-election hearings will generally open 14 days after objections are filed. Parties cannot electronically file election petitions. Parties and NLRB regional offices do not electronically transmit certain representation case documents. Election petitions, election notices and voter lists can be transmitted electronically. NLRB regional offices can deliver notices and documents electronically, rather than by mail. The parties and prospective voters receive limited information. Parties will receive a more detailed description of the Agency’s representation case procedures, as well as a Statement of Position form, when served with the petition. The Statement of Position will help parties identify the issues they may want to raise at the pre-election hearing. A Notice of Petition for Election, which will be served with the Notice of Hearing, will provide employees and the employer with information about the petition and their rights and obligations. The Notice of Election will provide prospective voters with more detailed information about the voting process. The parties cannot predict when a pre- or post-election hearing will be held because practices vary by Region. The Regional Director will generally set a pre-election hearing to begin 8 days after a hearing notice is served and a post-election hearing 14 days after the filing of objections. There is no mechanism for requiring parties to identify issues in dispute. Non petitioning parties are required to identify any issues they have with the petition, in their Statements of Positions, generally one business day before the pre-election hearing opens. The petitioner will be required to respond to any issue raised by the non petitioning parties in their Statements of Positions at the beginning of the hearing. Litigation inconsistent with these positions will generally not be allowed. The employer is not required to share a list of prospective voters with the NLRB’s regional office or the other parties until after the regional director directs an election or approves an election agreement. As part of its Statement of Position, the employer must provide a list of prospective voters with their job classifications, shifts and work locations, to the NLRB’s regional office and the other parties, generally one business day before the pre-election hearing opens. This will help the parties narrow the issues in dispute at the hearing or enter into an election agreement. Parties may insist on litigating voter eligibility and inclusion issues that do not have to be resolved in order to determine whether an election should be held. The purpose of the pre-election hearing is clearly defined and parties will generally litigate only those issues that are necessary to determine whether it is appropriate to conduct an election. Litigation of a small number of eligibility and inclusion issues that do not have to be decided before the election may be deferred to the post-election stage. Those issues will often be mooted by the election results. Parties may file a brief within 7 days of the closing of the pre-election hearing, with permissive extensions of 14 days or more. Parties will be provided with an opportunity to argue orally before the close of the hearing and written briefs will be allowed only if the regional director determines they are necessary. Parties waive their right to challenge the regional director’s pre-election decision if they do not file a request for review before the election. This requires parties to appeal issues that may be rendered moot by the election results. Parties may wait to see whether the election results have made the need to file a request for review of the regional director’s pre-election decision unnecessary and they do not waive their right to seek review of that decision if they decide to file their request after the election. Elections are delayed 25-30 days to allow the Board to consider any request for review of the regional director’s decision that may be filed. This is so even though such requests are rarely filed, even more rarely granted and almost never result in a stay of the election. There will be no automatic stay of an election. The Board is required to review every aspect of most post-election disputes, regardless of whether any party has objected to it. The Board is not required to review aspects of post-election regional decisions as to which no party has raised an issue, and may deny review consistent with the discretion it has long exercised in reviewing pre-election rulings. The voter list provided to non-employer parties to enable them to communicate with voters about the election includes only names and home addresses. The employer must submit the list within 7 days of the approval of an election agreement or the regional director’s decision directing an election. The voter list will also include personal phone numbers and email addresses (if available to the employer). The employer must submit the list within 2 business days of the regional director’s approval of an election agreement or decision directing an election.